With zero experience in logistics and bad online customer experience, Nancie Amunga was very determined to change the narrative for customers who suffer in the hands of online retailers. Over the years, Dana Courier services and errands has become a reputable firm attracting both corporate and ordinary clients, all treated to quality services, and impeccable customer experience. For Nancy Amunga, it has been a tough road that she had to give her very best, to see her brand grow and become formidable. She shares insights on how her entrepreneurial journey been. What is Dana Courier services and errands and what services does it offer? Dana Courier services and errands is a last-mile delivery service. 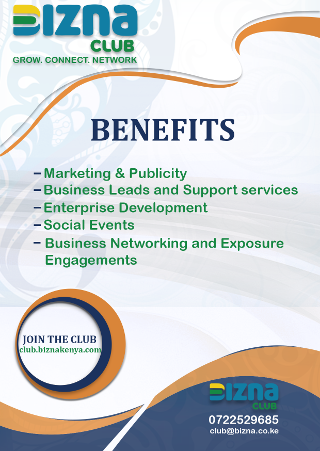 We offer both B2B and B2C services. Ideally, we offer to pick up and drop off point for our online clients who don’t have a physical location and their clients want to pick the items from the CBD. We provide storage space too. We have worked with corporate clients who are very diverse from NGOs to just normal business, we have online sellers who are our client too. We also provide services to individuals and also run their errands. We are in Nairobi and its environs, and our offices are located at the Barclays Queensway house on Kaunda street. In the future, we look to expand to Kisumu to cover the western region of Kenya and the rest of the country in the country in the next five years. What inspired you to venture into starting a courier? I bought a TV online at one point and I didn’t like the delivery services especially the lack of proper communication. I saw this as an opportunity to fill that gap in the market and provide online shoppers a better customer experience. Before starting out, I had searched for a job without getting one. I decide to employ my self. In so doing, I have been able to create employment for other people who are now able to meet their basic needs. It gives me so much joy to see other people benefit from my business directly. How much did you invest in the Courier while starting out? I only had Ksh 70,000 which I put in the business. I decided to start small with just one bike. Over time we have grown in numbers with over 15 competent employees on board helping with the running the day to day operations of Dana Courier Services and Errands. What challenges have you faced running the business in terms of operations and management and how did you overcome them? I had no experience in logistics at first because like I said earlier my background is in media and communication, so it was exciting and such a journey to learn on the business. The issue of financing the business was such a big challenge. I had to invest my savings as the startup capital, which meant, I had to start from scratch. I didn’t have a mentor to guide me through the finer details of the business. I struggle through in the humble beginnings of my journey. Entrepreneurship is not an easy ride but so long as you have a passion for what you are doing then you will maneuver your way around. My passion kept me strong and standing through these tough times that seemed not have any light at the end of the tunnel. How do you market your business? What strategies do you use to keep your customers coming back for more in this competitive digital space? What are some of the major highlights for you as an entrepreneur and your business? 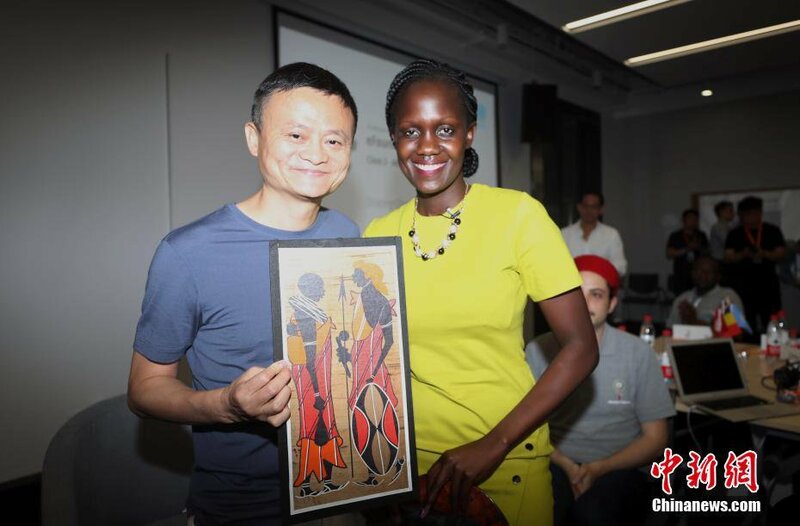 In June I was successfully selected to participate in the eFounders training in China at the Alibaba School of Business, a partnership between the Alibaba and UNCTAD. In October I got the opportunity to participate in the UNCTAD Youth Forum which was running concurrently with the World Investment Forum in Geneva Switzerland, I got an opportunity to speak in different sessions and my highlight was hosting the First Lady of Botswana Ms. Neo Masisi. I’ve also had the opportunity to meet Prince William and talk to him about the work I’m doing with the young people as the Coordinator for Commonwealth Alliance of Young Entrepreneurs E. Africa. Receiving an invitation to Queen Elizabeth’s 92nd birthday was such a great privilege. We have worked with Kenya National Chamber of Commerce and Industries, Kilimall, County Government of Bungoma and Trans Nzoia and Kiambu, some reputable schools, Kenya Bankers Association and also done deliveries for some embassies. If you were to go back on time, what would you differently that would have contributed enormously to the success of the business? Honestly, I don’t think there’s anything that I would have changed. I believe I have fought a good fight so far and I am proud of myself. What would you tell upcoming entrepreneurs who are fighting hard to make it? Be persistent and patience and your time will come. Don’t get pressured by social media fakepreneurs.